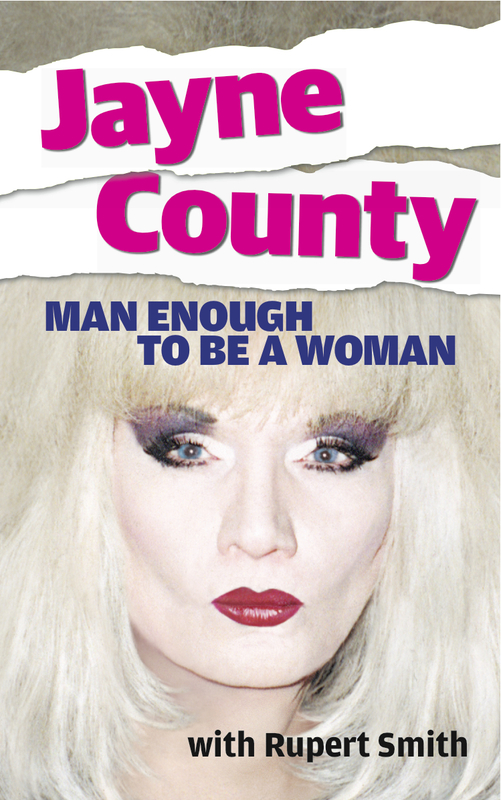 I’ve been a fan of transgender rock singer Jayne County since my teens, and I got to know her well when she was living in London during the 80s and 90s. After many a night listening to her wonderful anecdotes while propping up the bar at gigs and clubs, I persuaded her to get it all down on paper in an autobiography. I spent months interviewing her, edited the results and voilà, Man Enough to be a Woman, a hilarious, inspiring and moving account of Jayne’s journey from a sissy childhood in the deep South to 60s New York, 70s London, 80s Berlin and beyond. Published by Serpent’s Tail in 1996. Man Enough is available as an e-book through Amazon.